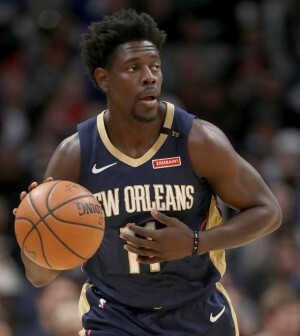 Jrue Holiday’s 2018/19 campaign has come to an end. The New Orleans Pelicans confirmed that the 28-year old guard underwent successfully surgery to repair a core muscle injury. The timetable for recovery is approximately six weeks, which means he will be sidelined for the remainder of the season. Holiday, who is in his sixth season with the franchise, averaged a career-high 21.2 points, 7.7 assists and 5.0 rebounds in 67 games. He still has three years and $77.81 million remaining on his contracts after this season.